Lauren N. and I had a new thought for a final project. We want to do a project on the perception of beauty and whether or not that differs with gender and age. We plan to use our “sociologial lens” and compare the perception of beauty between men and women of a yougner age (such as college students or teenagers) and older people such as parents or grandparents, and whether or not the perception of beauty has changed through out time for the elder people. What is beautyful today may not have been beautiful in the past. Perhaps they still do think what was beautiful in the past is still beautiful today. Another interesting path to go on would be to ask the participants what they think may be baeutiful in the future. Will it change or will it stay the same? When speaking with out participants we were thinking of first giving them a questionaire (either open ended or closed ended) just to see what they think is beautiful. After perhaps we will do some sort of photoelicitation by giving them advertisements of women (specifically) and seeing what they have to say about it. This sounds neat, I’m wondering if your questionnaire you’ll include pictures of people that could be seen as beautiful or ugly…Like a picture of a model from the 1950’s and of one now. I figure the older people might find the 50’s models more appealing. But I wonder what younger people might think. 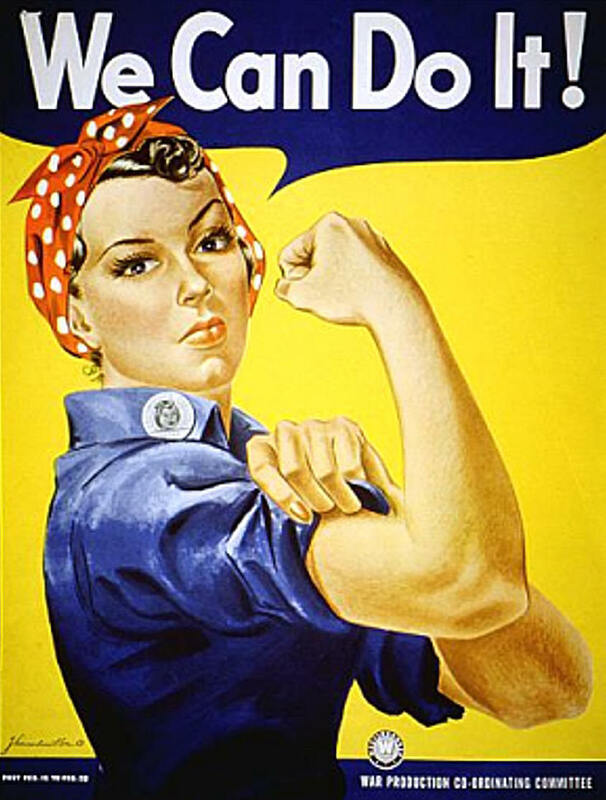 Maybe you can use Rosie the Riveter as an example.. I think the topic that you chose to discuss is very interesting because I am sure the perception of beauty differs between the decades. I am a little confused whether you will be exploring the actual appearance of women or the way they dress ( whether it be modestly or immodestly). Amaru- for our questionaire we are just going to have regular questions asking people (probably) to write down they think is beautiful. Later we will use different pictures and asking people to say if they think its beautiful or not and why or why not. It is difficult to find general pictures of someone beautiful and ugly because “beauty is in the eye of the beholder”, what one person might think is beautiful another might not. Lindsey- I think we are leaning towards more the actual appearance of women. Dress is a whole other topic by itself, however it can be included it ones appearance, but we will not be looking at dress as our main topic, more of like the whole appearance of someone (I hope that answers your question). Great! Thank you, too, for clarifying your topic by responding to Amaru’s and Lindey’s questions. Seemy comments to Lauren’s proposal.